Coleman (married 21 June, 1871, Bristol, †1891) and several Italian-born male boarders. and a daughter Ellen, ° around 1884. Joseph remarried with Alice (?) in 1892, Holborn. Both “Bardotti” and “Giovannacci” rented stores at “Rue-Saint Marguerite“. the same applied to Laurent and J.-B. Ghelfi, but for a period of ten years. because he had nothing to do with the previous company of his brothers. Ghelfi, that was well known (because of his brothers) in the stone industry. “F.Ghelfi & Cie” was accused of setting up “F.Ghelfi & Cie” and misusing the name of the former company as a mean to divert clients to the new company. 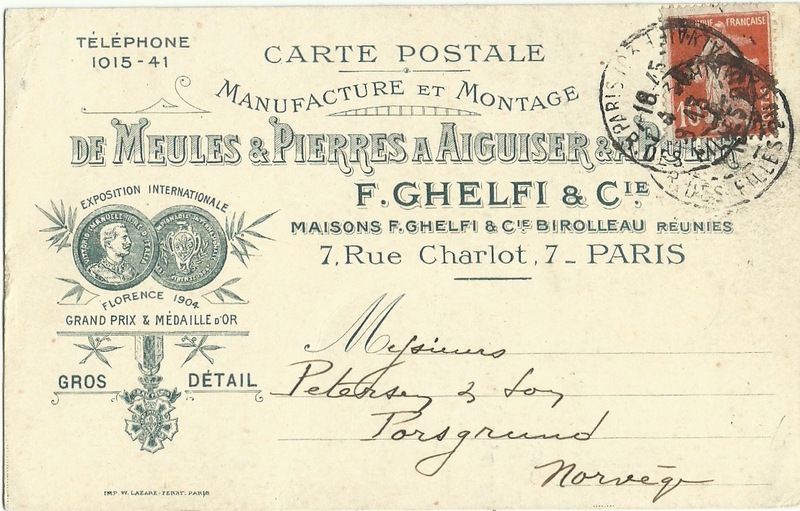 correspondence to his new company, “7, rue Charlot, Paris”. the name is actually being sold together with the fund. Paris Modifications aux statuts — Société F. GHELFI et Cie, fab. de meules et de pierres à aiguiser, 7, Charlot. 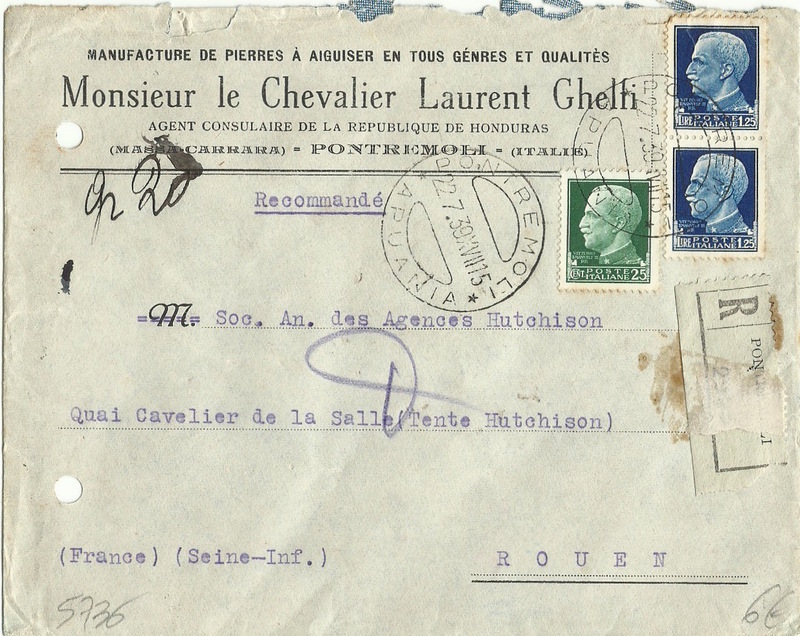 ladite société — 10 avril 1910 – L.
– 10 April 1910 – L.
at “47, Saintonge (47, Rue de Saintonge), sold by “Demuth”. but now with “Birolleau” also being involved. but chances are that only “Ferdinand Ghelfi” was still active in the stone business. Apparently, Valentin Ghelfi must have passed away between 1925 and 1935.
as a consultant of the Embassy of Honduras. Now, we know there was a factory in Massa. This entry was posted in 2 "Ghelfi family". Bookmark the permalink.